A new project from the Republic universe … Eight Shakespeare characters. Five different plays. One Café. This is Speaking Daggers. A Shakespeare film by Sally McLean for Independent Schools Victoria in conjunction with Incognita Enterprises for the 2017 Arts Learning Festival. SPEAKING DAGGERS WINS THIRD AWARD! 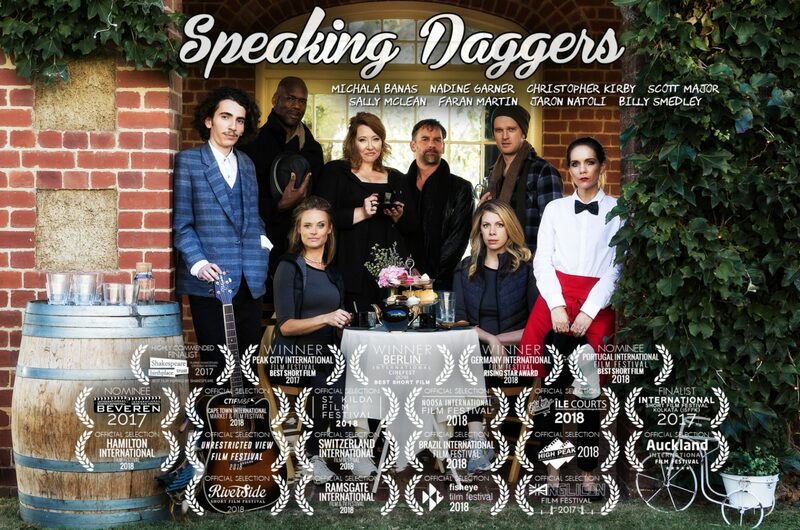 We are delighted to announce that Speaking Daggers has been awarded the Rising Star Award at the 2018 Germany International Film Festival in Munich! This is the third award for the film, following on from our win for Best Short Film at the 2017 Peak City International Film Festival in the USA and Best Short Film at the 2018 Berlin International Cinefest in Germany. The film also received a “Highly Commended” Finalist nod from the Shakespeare Birthplace Trust’s Shakespeare Film Festival in the UK in 2017, as awarded by Jury President, Sir Kenneth Branagh (which also marked Speaking Daggers’ film festival premiere). The film has now been officially selected for 21 festivals around the world. To find out more about where the film has screened, check out our Screenings page here. A film written & directed by Sally McLean, produced by Sally McLean & Billy Smedley as Incognita Enterprises for Independent Schools Victoria.